Chicks and Mechs what more do I need to say?......... Ok I guess I will explain more. 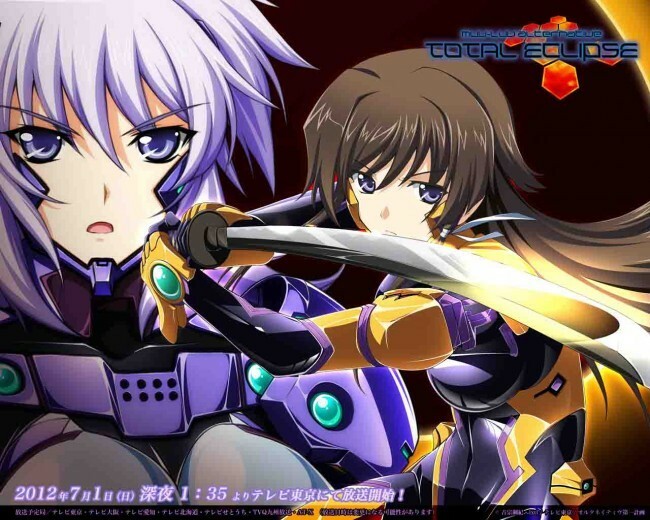 Muv-Luv Alternative: Total Eclipse is about aliens called Betas that invade earth and have the world backed up against the wall. To try to fight the Betas mankind created mechs called TSF( Tactical Surface Fighters) to combat them. The first episode has nice pacing to it and sets up the story. The episodes after kinda slow down into some character development before picking back up in the action. Any one who likes anime I’m sure will enjoy this one as it has fan service, mechs, and a cool story.